Find Silicone Bottle Caps, Plastic Water Bottle Caps, Crown Bottle Cap on Industry Directory, Reliable Manufacturer/Supplier/Factory from China. 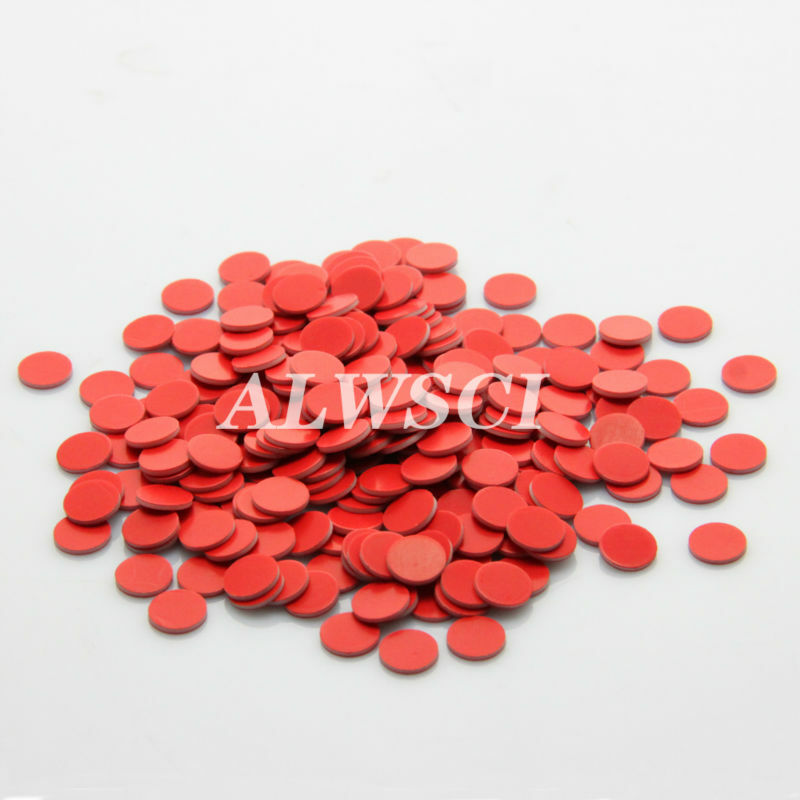 9-SP1004 9*1.0mm, Red PTFE/White Silicone Septa, Pre-slit. 100pcs/pk. 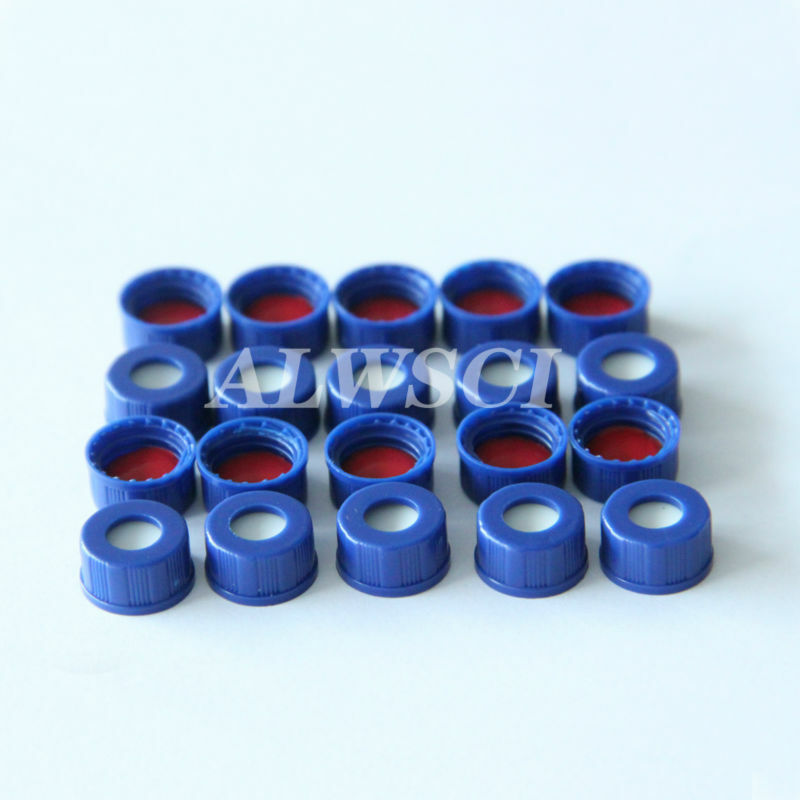 9-SP1005 9*1.0mm, Blue PTFE/White Silicone Septa, Pre-slit. 100pcs/pk. 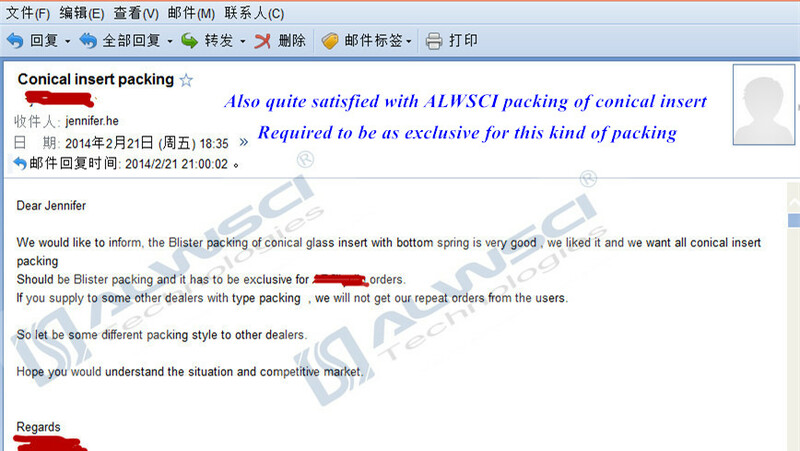 Other Related Products Factory Introduction ALWSCI is the biggest manufacturer of HPLC/GC Autosampler Vials, Caps, and septa in China. Domestic market share over 60%, and exporting materials more than 80 countries. All materials are produced in 100,000 grade clean room. Experienced technician with equipped R&D center to fulfill new research and development. OEM & ODM services are available. Our products can be 100% compatible with original Agilent, Waters, Virian, Shimadzu, and etc. We are looking for suitable partners as our distributors at different markets. Waiting for your information with interest. 1. Passed ISO9001:2008 quality management system certification. 2. All materials are produced at 100,000 grade clean room. 3. Factory direct, we have our own R&D Center and Quality Control. 4. We also cooperate with domestic famous university for materials testing. 5. Third-party organizations testing requitements can be also provided, such as SGS. 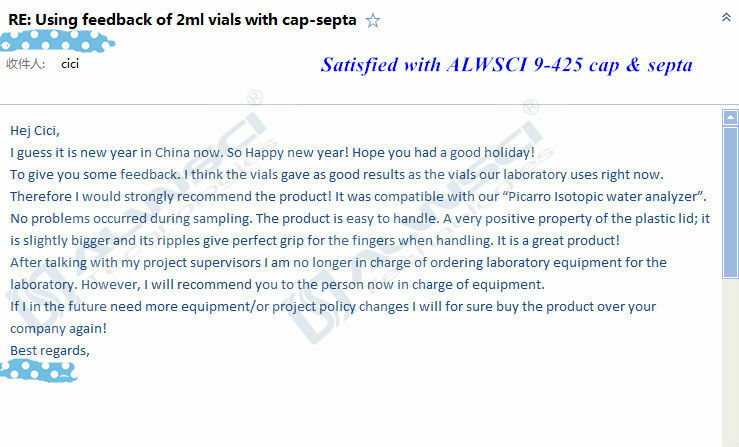 R&D Center Quality Control Customer Feedback Both new & old friends are quite satisfied with our quality, prices, service, delivery time and etc. 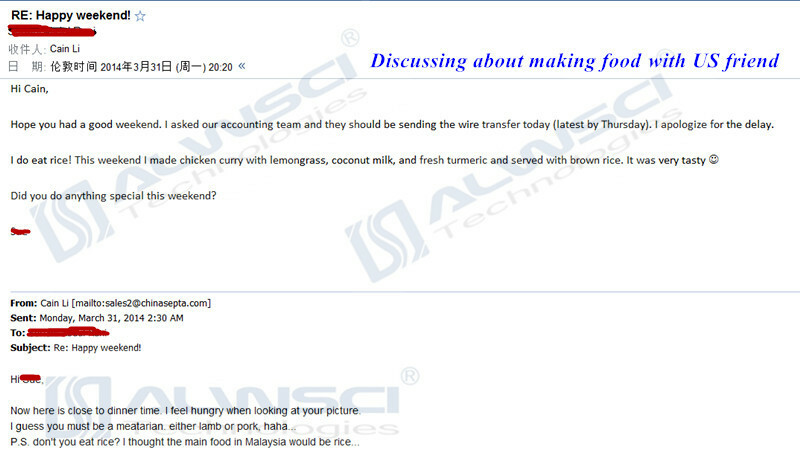 Besides talking about business, other topics are also popular, we really care about each other as good friends not customers only. 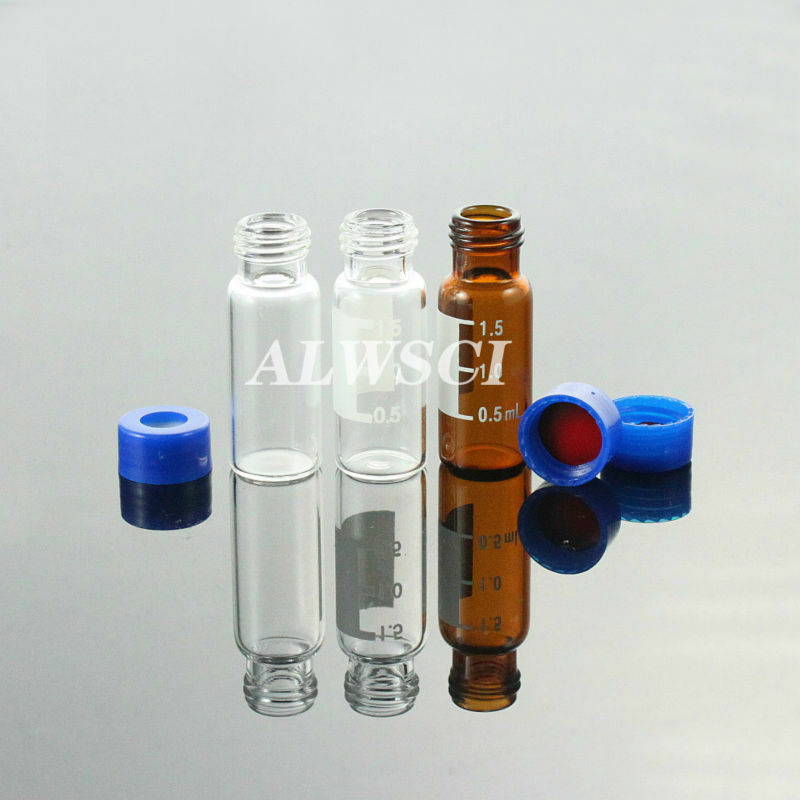 Contact us if you need more details on 2ml Glass Vial. We are ready to answer your questions on packaging, logistics, certification or any other aspects about 2ml Hplc Vial、Agilent Hplc Vials. If these products fail to match your need, please contact us and we would like to provide relevant information.